Cycling in the Spanish capital used to be rather dangerous. That has changed now after a reconstruction of the infrastructure and an education program for motorists. For decades motorists rolled over six tracks and traffic jams were a normal thing. But now cyclists shall be safely pedaling through the city. The great boulevard Gran Vía is being radically rebuilt. This is the aim of the left-wing city government that has been in office since 2015. Of the three lanes in each direction there will only remain one for general traffic, a second lane is reserved for taxis and buses. And the third is for the cyclists, who avoided the center for years. This grand boulevard has never experienced such a great recontruction. It was once a prestige street from the early years of Franco and recently lost its exclusive character more and more to cheap clothing shops, souvenir shops and fast food outlets. On the Calle de la Princesa leading from the Gran Vía to the northwest, the plan of the city government is already implemented: One lane is shared by cyclists and cars, it has a speed limit of 30 km/h. Up until now there was no trouble about it. The majority of motorists seem to take it easy. The Mayor Manuela Carmena created the motto: “Madrid should become a city for the people.” Therefore cycling without being annoyed by motorists is a must have. The city published an advertising campaign for changing over to bikes – that was unthinkable a few years ago. Younger people nowadays think differently than their parents, to whom the car was a status symbol and who demanded the “car-friendly city” from local politics. With the current crisis after the real estate bubble bursted, unemployment rose to 27 percent. Many people from Madrid had to give up their car. And the younger generation usually starts with an average monthly wage of barely more than 1500 euros, so that a car has become a luxury item. The crisis gave local politicians the opportunity to try to reduce car traffic in the city center. This included the shortage of parking spaces in favor car parks at metro stations in the outer boroughs, as well as the increased subsidization of public transport and the promotion of bike sharing. More than 60,000 Madrilenians now have a subscription for a bike sharing company and the trend is upward. Long gone are the days when Madrid made negative headlines because of its high number of accidents in the city. Radar traps have been installed nationwide, the penalties for excessive speed are drastic, as well as for ignoring pedestrians at the crosswalk. Road traffic in the Spanish capital has become less stressful compared to other cities in southern Europe. However, the campaign is also being aimed at cyclists. Because, as there are the cyclists here as well, who do not follow the rules. City planners in Madrid ae currently planning a major project: all recreational areas and parks should be accessible by bike. Metro and suburban trains have their own small sections for bikes, which can also be used during rush hours. In addition, new bike lanes shall lead from the city center to the Green Ring, a kind of bicycle highway in the city with a total of 64 kilometers. The track is six meters wide, four meters for the bikes, two for pedestrians. And tourists are increasingly offered bike tours to the sights of Madrid. Need a bike? 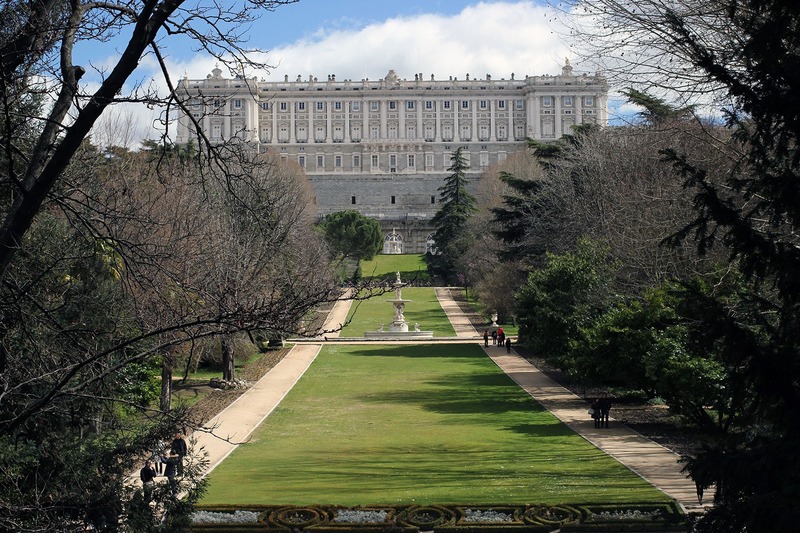 Find a bike rental in Madrid.